There are certain authors whose books I just fawn over. I ignore my emails, forget my everyday responsibilities, and have to remind myself when it’s time to eat because while it may feel like the book is feeding my soul, actual food is still in order. (If there are cupcakes, of course, I don’t need to be reminded. I will never, ever miss out on a cupcake.) 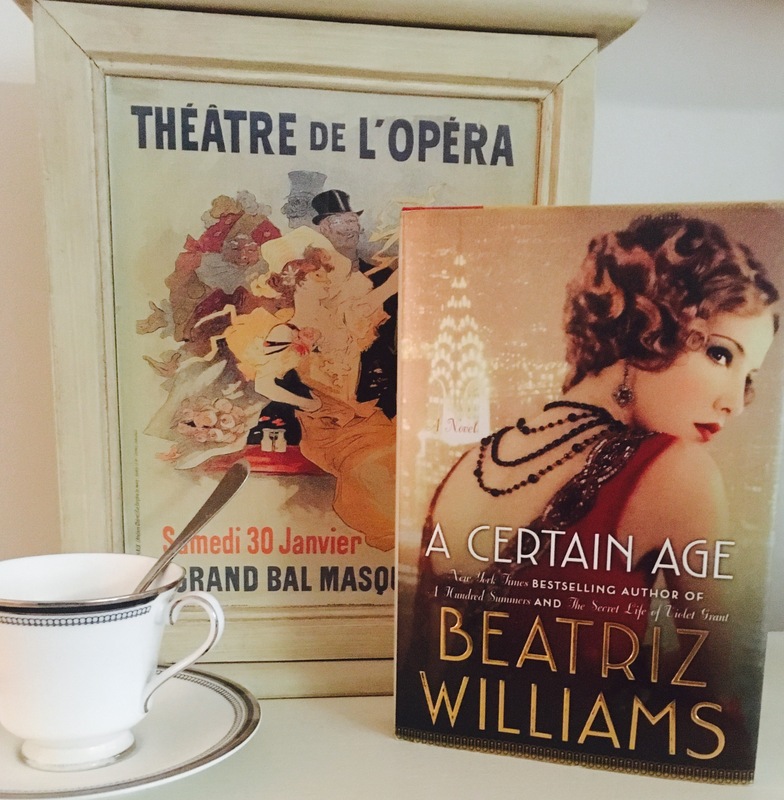 Beatriz Williams is hands-down one of those authors for me, and her newest novel, A Certain Age, had me putting a pin in pretty much everything in life because I was so wrapped up in the glossy, glitzy world of its pages. An adaptation of Richard Strauss’ comic opera Der Rosenkavalier set in 1920s New York, A Certain Age tells the story of two vastly different women and the tangled love story they share with one golden cavalier. (My heart is a-flitter already.) To Theresa Marshall, the 40-something Fifth Avenue wife in a less-than-perfect society marriage, Octavian Rofrano is her Boy—the handsome, young promise of escape she desperately needs and desperately adores. To Sophie Fortescue, the young fiancée of Theresa’s notorious bachelor brother, Ox, Octavian is her cavalier—the gentleman enlisted to present an heirloom engagement ring on the groom’s behalf (according to family custom) and, well, also enlisted to dig up any potential dirt on the Fortescue family. In the midst of an emotionally messy love triangle, long-buried family secrets are revealed, scandal is brought to the forefront, and hearts are bent and broken. Told in alternating, equally compelling perspectives, A Certain Age is the kind of glamorous, can’t-put-it-down novel you can’t help but sink your pearly little teeth into—exactly the kind of tasty read Beatriz Williams excels at. From the moment I picked up this book, I was captivated by Theresa’s confessions-at-a-cocktail-party voice and Sophie’s half-girlish/half-adult tightrope walk towards independence. My heart felt for both of them, and, like both of them, my heart immediately belonged to the dashing Octavian. I can’t remember a literary heartthrob in recent fiction I’ve gone so gaga over. (And you know me, friends. I’m a connoisseur of literary heartthrobs.) The main players weren’t the only ones who hooked me. Every character (including some familiar faces you may recognize from Williams’ other novels) added to the delicious consumption of this literary gin fizz. With every page, I was smack dab in the middle of the Jazz Age, caught up in the juicy, gossip-column drama and the entirely human characters behind it. I was torn between flying through the pages to find out what was going to happen and pumping the brakes so that I could savor every last drop. If you’re looking to be transported to the days of flappers and jazz joints, get your hot little hands on A Certain Age and submerge yourself in this luscious story of love, fate, and sacrifice. If you’re already a fan of Beatriz Williams, you know what kind of treat awaits you. If this is your first Williams book, I can guarantee you it won’t be your last. For more on the superb Beatriz Williams, visit beatrizwilliams.com and follow her on Facebook and Twitter. She’s simply the best!